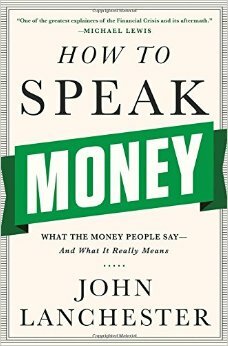 Anyone who has taken a finance or economics class or regularly listens to NPR’s Planet Money knows that “money people” have their own language. John Lanchester demystifies this language for the less financially inclined in this book. Find short descriptions of common money terms like zombie bank, bear market, and laffer curve in easy to understand language. Key people in finance and economics are included as well. This book would serve as an excellent resource for students taking business classes or anyone interested in learning a little bit more about Wall Street and the economy. This entry was posted in new stuff tuesdays and tagged economics, economy, finance, money, new stuff. Bookmark the permalink. Sounds like a very helpful book of definitions.